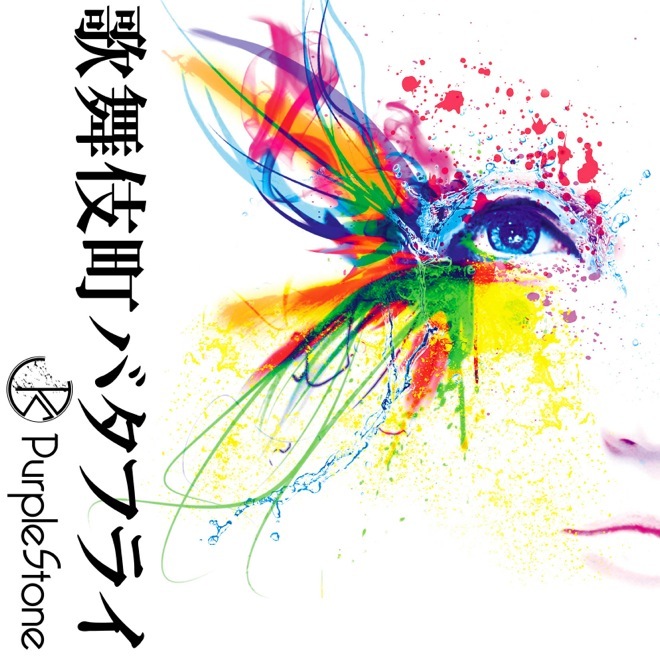 Purple Stone's April 20th release, "Kabuki Machi Butterfly" is another addition to a string of great releases by the band. 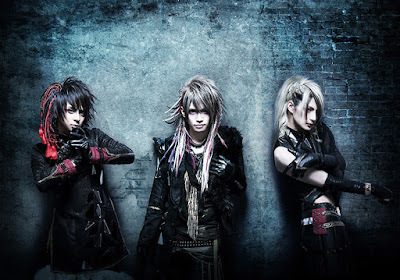 Since their start back in 2013, the band has released several impressive singles. "Amazuppai Mango" was the first of these to catch my attention, and since then the releases have continued to improve until they blew me away with "Kaitenmokuba". While the A-track on that single was good, the following B-tracks are what really struck me as amazing. They were catchy and energetic, which made following such a great release difficult. "Kabuki Machi Butterfly" did not manage to overcome this obstacle, but it was still a solid release. The title track begins strong with a break into the chorus and moves into an upbeat fast-pace verse. Overall the song is powerful and dynamic in sound, which complement the vocalist's sweet voice. One thing I've noticed about this song is how the more you listen to it, the more you notice the glass shattering effects. While this sound can be used to enhance a song, I feel like it was used in excess and has actually started to become distracting. However, considering that Keiya has such a beautiful voice, I feel this fault can be forgiven. The next track on the release is "RIVER". 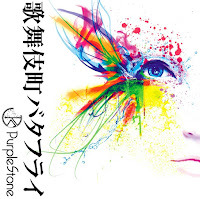 It opens with a piano part and enters into a hard rock rhythm, similar to the previous track. The chorus is, by far, my favorite part of this song. Even with the return of the glass shattering noise leading into that section, I like the force that the chorus has. The melody fits the song well, balancing what I found to be a repetitive and rather monotone instrumental part. The song probably could've used a more interesting instrumental break. For example, with the piano opening and close a nice piano solo would've given the song more personality. "Paradise Dance" is the final track of the release. The most "poppy" in sound of the three, this track incorporates elements of auto-tune and yes again, the glass shattering effect. While a fun song, I consider it the weakest because of how it lacks much originality. It sounds like a typical pop rock song. It still sounds good, but there's nothing that makes it stand out as incredible. As a whole, this single was a good release. The songs were different from one another so there was a variety. They were also enjoyable despite a cookie cutter setup and some elemental flaws. In the end, I'd recommend this single to anyone curious.